Self storage has been one of the fast growing pieces of the commercial real estate industry nowadays. And it’s no surprise. We all have a lot of stuff, and to be honest, we like to keep it. Clients would rent storage units for years for the most bizarre reasons. Some would pay for half-empty units while others might have rented two huge units. They paid more yet haven’t opened it for more than a decade. There are also these people who lose their stored stuff because they wouldn’t or couldn’t pay their rental fees. Well, are you wondering when you can and should use one? And thinking if it’s just a waste of money or not? So, here’s what you need to know. 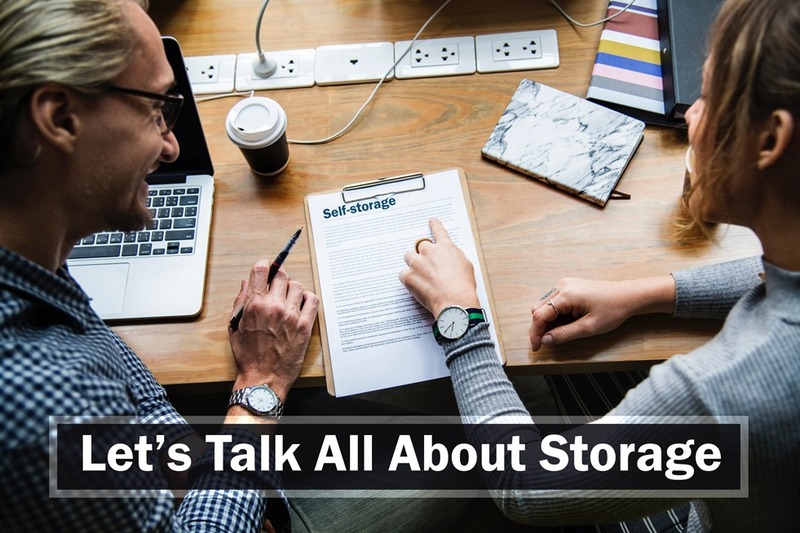 Let’s talk all about storage units. This list might not be going to cover it all but suffice it to say that if your unit is saving you money, or if you’re using it for a limited period then it’s probably okay. Here are some examples of smart ways to use it. Either you’re moving or relocating your business or house, renovating your house, or trying to sell your house for whatever reason. Renting a secure storage Sydney facility is one of the best time to invest for your extra space to stack your stuff. And if you’re moving for a greener pasture and you don’t have a place to live yet, then it is a good option for you to stack your possessions. Likewise, if you need to make your house more presentable whilst it’s on the market and you want to get rid of your possessions, then rent a unit. Some of the smallest units near you can be really very affordable. Thus, remember that prices vary by company and location. You can get space at the most reasonable price if you look hard enough. A unit might save you money if you’re having trouble fitting into your space. You need to consider the size of the storage that you need. It would cost less than upgrading to a larger home or apartment. If you have a collection that is worth quite a bit of money, and you don’t have enough room to keep your investment safe at your house, then a storage unit could be worth your while. However, you need to run a cost-benefit analysis first. If you’re really into this collection and can afford a storage unit, then go for it. But if it’s going to take a portion of your budget, make sure the cost is worth the payback when you cash-in the investment. Double check things first before taking any action. Storage units can make a great sense of deal for small business owners. For some instance, instead of renting an office with built-in warehouse, you can just opt to rent a storage facility. The cost will be much lesser than leasing an office with built-in warehouse. Likewise, if you don’t have much equipment yet plenty of overflowing paperwork and other small stuff, then getting a storage unit may be cheaper in the long run. First of all, it is a wrong choice when you’re dumping money into the storing unit and not getting anything out of it. Here are some of the specific times when you shouldn’t rent a storage unit. Well, let’s all be honest. Most of us have at least few boxes of stuff that we don’t want or need. Maybe they are sentimental items, or maybe it’s junk you don’t know how to get rid of. So, instead of renting space for that unwanted stuff, have a garage sale. Or you may go to the local dump and drop it off for goodwill. For heaven’s sake, don’t dump money into a unit to hold things you don’t want. It’s a waste of money. Therefore, better check and organise things first before getting one. Renting for a short term storage unit is great when you need it. That’s why most of the storing company offers a month to month contract. However, some may rent a long term storage unit for possessions that need to be stack just for relocation or renovation purposes. This case is a waste of money. It is necessary to know the length of your use so you can plan what is really needed. Well, there are some people who assume that the company will keep their possessions on hand until they can pay months’ worth of back fees. But sad to say, that’s not how it works. The laws are different in every state. Renting a storage is the same as leasing an apartment. If you don’t pay and keep up your end of the contract, the owner has the right to throw you out. If you truly need to rent a unit to store your stuff, make sure you can pay for it. Those fees should go right next to rent and groceries in your spending list. The bottom line here is this. Before you rent facilities for any length of time, understand what benefit you’re getting out of it. Is it really saving you money? Or is it just a great deal of hassle in the long run? Likewise, before you rent and move into a storing unit, get rid of unimportant stuff as much as possible. The smaller the unit it is, the more money you’ll save in the long run. Thus, do your part. Take time to do research and at the same time make sure to plan and organise your possessions first before anything else. Need more insights about storage facilities? Check more helpful insights in our blog section and be enlighten with more useful ideas about storing unit services. You may also discover our variety of services that may fit your needs. And if you need some pointers in getting the self storage facility for you, then you may want to check on our article: How to Find Self Storage Facilities: Top 5 Storage Security Features. This entry was posted in Storage and tagged Macy's Mobile Self Storage, self storage, self storage sydney, storage module, storage sydney.